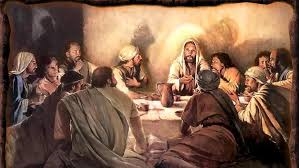 Jesus prayed this prayer sometime after the Last Supper and just before He went out to the Garden of Gethsemane to pray and to wait for His betrayer (Judas) to arrive. The prayer (written below) is in three parts: for Himself, for His disciples, and for all believers who would form the church. The order here I think is important, as it seems to give us a pattern to follow—that prayers should be first for ourselves, then for those who are closest to us (our disciples), then for all others. Jesus asked three things for His disciples. First, He prayed that God would keep them in His name (or keep them in His will) so that they would be unified together just as the Father and the Son were (v. 12). Second, He prayed that they would be kept (or preserved) from the evil one (v. 15). And third, He prayed that they would be sanctified (purified and made holy for the ministry He had called them to) in God’s truth—the truth of His Word (v. 17). His prayers for the church were also in triplicate. First, He prayed that they (we) might be unified together with each other as the Father is with the Son (v. 21). Then He prayed that they (we) may be one in the Father and the Son, so that the world may believe (v. 21). Last, He prayed that they (we) may be with Him to behold His glory (v. 24) and to forever enjoy His love (v. 26). 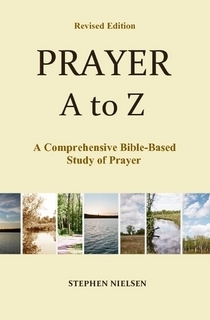 This entry was posted in Part 5, Ezra to John, Prayer A to Z Excerpts, Survey of Prayer and tagged Garden of Gethsemane, John 17, Last Supper, prayer of Jesus. Bookmark the permalink.